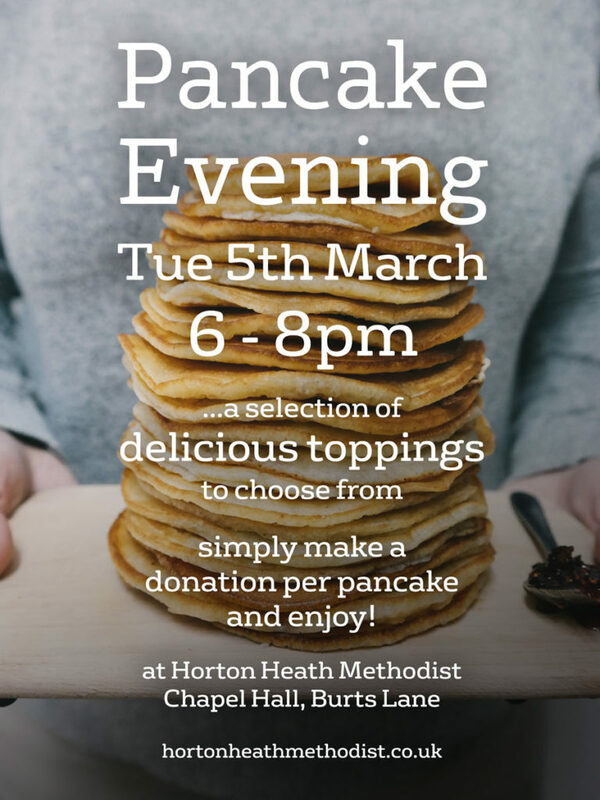 You’re invited to join us for freshly flipped pancakes this Shrove Tuesday, 5th March. Bring along friends and family, choose your favourite toppings and refreshments and enjoy! Donations in aid church maintenance. Drop in anytime between 6pm and 8pm. combined and blended together to create a delicious treat. This treat forms a wonderful reminder of the Holy Trinity and our personal relationship with the Trinity. The toppings we each eagerly choose to give full flavour to the treat and experience, all wrapped within the hot pancake. Whether traditional lemon and sugar, golden syrup, or ice cream and chocolate! We each have our own individual, personal tastes, and in the same way we have our own gifts, talents and passions. Which when aligned and combined with the Trinity achieves happiness and fulfilment. So the humble pancake, whilst being delicious, is a wonderful metaphor and reminder of God’s presence within our lives, and the amazing goodness He has in store for us. Sometimes we need to flip things round to gain clarity, change direction and realign ourselves with God – this is all part of the preparation that Lent provides. Pancakes are being served up in our church hall. We look forward to seeing you there! Lent will soon be upon us, where we are challenged to reflect on our lives; to give up something that’s holding us back, or to start to do something new. Some people choose to give up a certain food or treat, others choose to break a bad habit, or to form a new good habit for 40 days, from Ash Wednesday to Easter Morning. Six weeks of self discipline. Reflective of Jesus’ 40 days in the wilderness as He prepared himself to complete His mission. The final part of His gift and promise. What a gift and promise! You have a loving, mighty, powerful God. The Holy Trinity, watching over you, routing for you, wanting to help you, ready to listen to you. The gift has already been given and promised. And God doesn’t break His word. Interestingly the word ‘lent’ is also the past tense of the word ‘lend’. The world was given Jesus for a brief period of time, approx 33 years, here on earth in physical, human form, as one of us. His task complete, defeating death once and for all through His crucifixion and resurrection 3 days later. (Note the power of 3). The period of Lent gives us a chance to reflect on what Jesus went through to save us and God’s unchanging love for us. A chance to focus on our individual purpose and calling, to give something up, let something go, or give something back. For those who have been going through difficult times, remember that winter will soon turn into spring, spring to summer, summer to autumn in all its glorious colour. With each season bringing change, new starts, and provisions for our needs. Time to adjust, time to grow, time to rest, time to reap. Time to just be. As a church, we joined in with the Christmas Tree Festival at West Moors URC during December. It was a beautiful sight seeing the many trees adorned with a variety of decorations, each depicting a different message or theme. The theme of our tree was ‘Me, my gift is me’. All too often we overlook what we can offer individually in our talents, gifts and skills. Whereas, who we are, what we’re good at, and all that we aspire to be,is the greatest gift we can give to Jesus. It’s important to continue to grow our roots into the depths of Gods love.To reach for the heights of all we can be, to continue to shine that Christmas light throughout the year. To trust and to find strength in hope, no matter how slight a glimmer it may seem. A beacon to lead those who’ve strayed and lost their way. To shine a light of hope when darkness surrounds a fellow being, whether friend, family or foe. A light that brings forgiveness, like the stoking of embers that gently warm and thaw cold hands and cold hearts. Rest and bathe in its glow and warmth. Encourage the flame to burn brighter, to shine its light for all to see. To make a difference. To guide people home this Christmas, like that first Christmas star. It’s Harvest Time! You are warmly invited to come along, bring friends and family, and join in the traditional harvest celebrations! 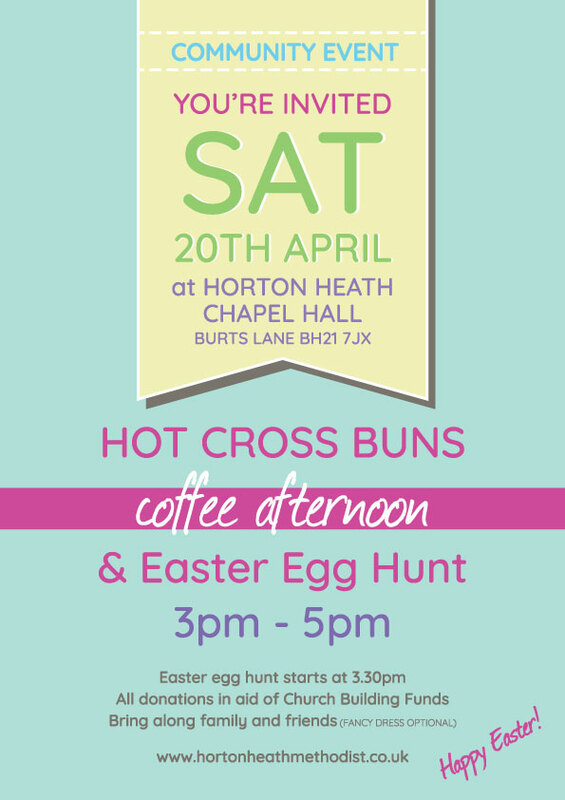 It’s a beautiful occasion and a highlight of our calendar year here at Horton Heath. It’s the visual delight, the jewel like colours, and the tantalising smell of the delicious fresh produce and seasonal bounty. Whilst we eagerly await the celebrations in our little village chapel, how do we even begin to comprehend all the goodness that is stored and waiting for each and everyone in the feast that’s yet to come! Rev Linda Chester gave us a beautiful illustration as part of the children’s talk last month to aptly describe the concept of unchanging love. Making us think about the loyalty and devotion of pets. They are always pleased to see us, greeting us when we return home. Excited when it’s time for a walk or play. No matter what sort of day we’ve had, they are there, ready and eagerly awaiting for us. How much more than this is God’s constant love for us? Ready with welcome arms to hear about our day, whether good or bad. Ready to listen. Ready to support and unburden. With pets, everything is pretty much as it seems. With fellow humans this is not always the case. We are complex beings and can be easily hurt or discouraged. As Christians we are here to support and encourage one another. To speak, think and act in kindness and love. Our intentions can sometimes be misunderstood. If we always act from the heart, then on both sides we need to be open to the possible motivations and intentions of kindness and care. Seeking the good, allowing others in to support and care about us. generously gives. We warmly invite you to join with us this Harvest season.